Nuremberg is Bavaria‘s second largest city after Munich. It is an important center of arts and culture. The Nuremberg Castle is located in the north of the old city. It is a structure of 351 meters of height that dominates the horizon. It was the residence of royal German kings and emperors from 1050 to 1571. 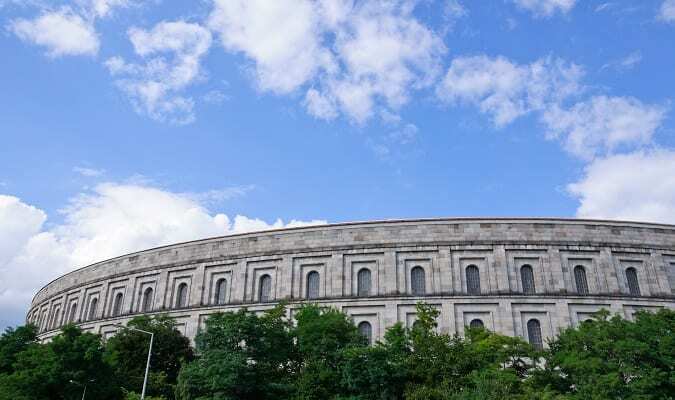 The Germanisches Nationalmuseum was founded in 1852, it houses the largest collection of German art and culture in the country. Nuremberg has most of its circuit of ancient walls preserved. The construction was finished officially in the 16th century. The Lorenzkirche is a spectacular Gothic church of the 14th century and the largest in the city. It was severely damaged during World War II and later restored. The Frauenkirche dates back to 1352. The church is famous for its central clock called the Männleinlaufen. The Hauptmarkt is home to the 14th century Schönen Brunnen and Frauenkirche. In the square takes place the famous Christmas Market of Nuremberg. The Sebalduskirche is a medieval church built between 1225 -73. It is one of the most important churches of the city, and also one of the oldest. 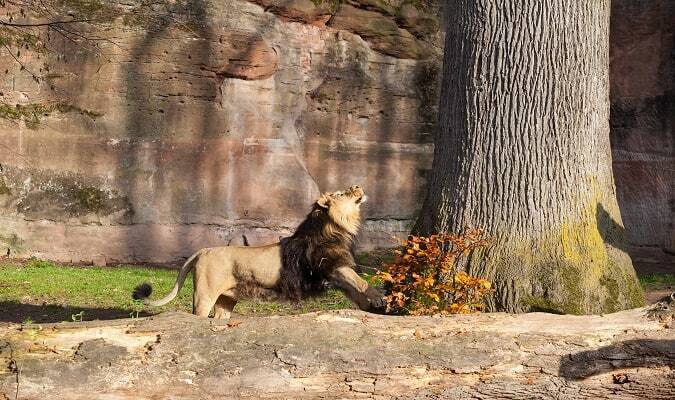 The Nuremberg Zoo is located in the southeast of the city. It has an area of 67 hectares with about 300 species of animals. The Documentation Center is one of the most important museums in Germany dedicated to the darkest period of the country. The permanent exhibition “Fascination and Terror” is concerned with the causes, connections, and consequences of Nazi Germany. Near the Nuremberg Castle is the Albrecht Dürer Haus, where the famous German Renaissance artist lived from 1509 until his death in 1528. The museum is dedicated to the life of Dürer. The Neues Museum was opened in 2000. It is a museum of modern and contemporary art. The Maritim Nuremberg is located close to the Central Station. 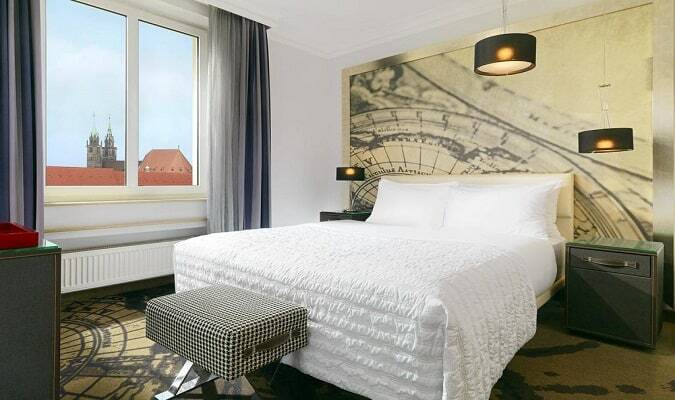 The Le Méridien Nuremberg is located close to the Central Station. The Sheraton Carlton Nuremberg is located in the heart of the city. The City Point is located 220 meters from the Lorenzkirche. Brands: Tom Tailor, New Yorker, Street One. The Franken Center is located 8 km from the city center. Brands: Karstadt, Deichmann Schuhe, Zero Store. The Mercado Nuremberg is located 3 km from the city center. Brands: Tom Tailor, Bonita, Gina Laura. Nuremberg has easy train access from various cities in Germany. Famous cities nearby: Frankfurt, Munich, Stuttgart.